Revisiting Executive Transitions: Who Leads and How? 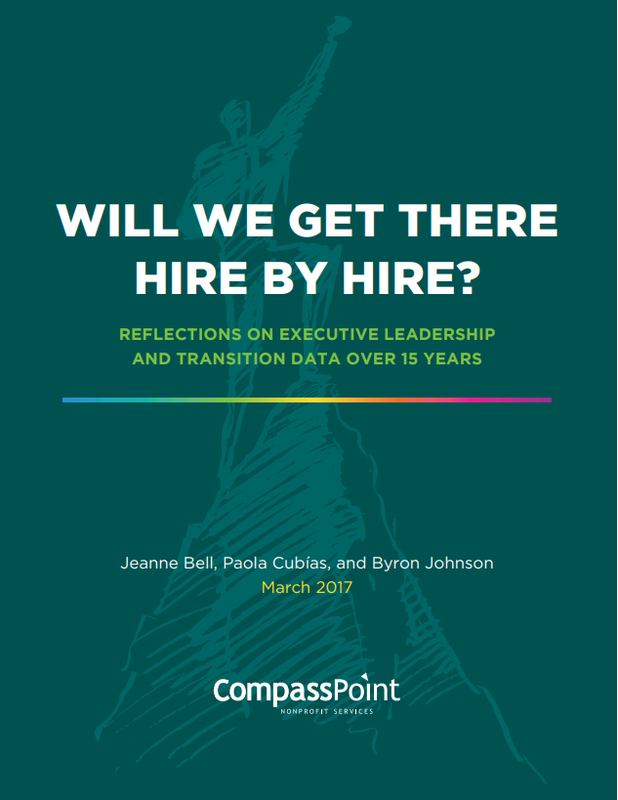 "Will We Get There Hire by Hire" offers reflections on over 15 years​ of executive leadership and transition data (building on our Daring to Lead series). This report looks at who leads, where executives come from, and why organizations aren't better prepared for transition. The discourse around leadership in the sector is one that acknowledges the importance of centering leaders of color, developing leaders internally, and moving past a savior or hero model (especially when it comes to executive leadership). How are we falling short of these apirations? 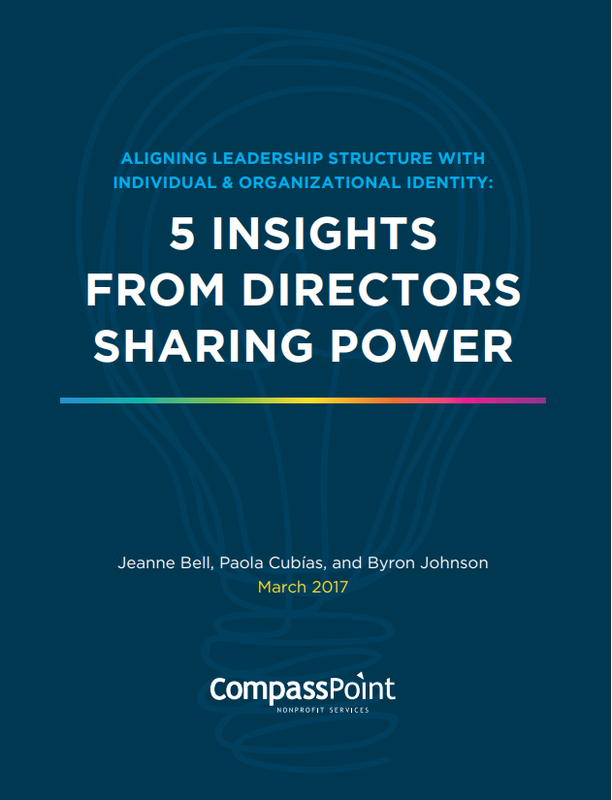 "5 Insights from Directors Sharing Power" explores how groups are aligning their leadership structures with their organizational identities and values. This report features five key insights surfaced from directors sharing power at five progresive organizations: Building Movement Project, Community United Against Violence, Housing Rights Committee, Management Assistance Group, and Rockwood Leadership Institute. We know that the moment of executive transition can be a powerful time of revitalization around organizational strategy and sustainability. Can it also be a time to question leadership itself? Can it be a time to revisit who leads and how so that we not only strengthen organizations but transform sector leadership as thousands of transitions get underway each year? These questions are at the heart of the Revisiting Executive Transition project. and offering some more resources around shared leadership to spark further thinking around challenging ideas of traditional top-down leadership structures. by Tom Adams, Director at Raffa, P.C. 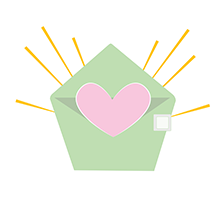 How can we organize ourselves in ways that are responsive to a quickly changing world? How can we break apart rigid systems to open up leadership more broadly to more people (especially those who have been historically shut out of leadership positions)? How can we self-organize so that people who are closest to problems can have the authority to make decisions in agile and creative ways? it's also about building models that allow us to be responsive and resilient. While this list is nowhere near comprehensive, we hope it will be a launching pad for more discussion. Co-Directorship - What Does it Mean?